Are you looking for a healthy treat to satisfy your sweet tooth that won’t pack on the pounds? 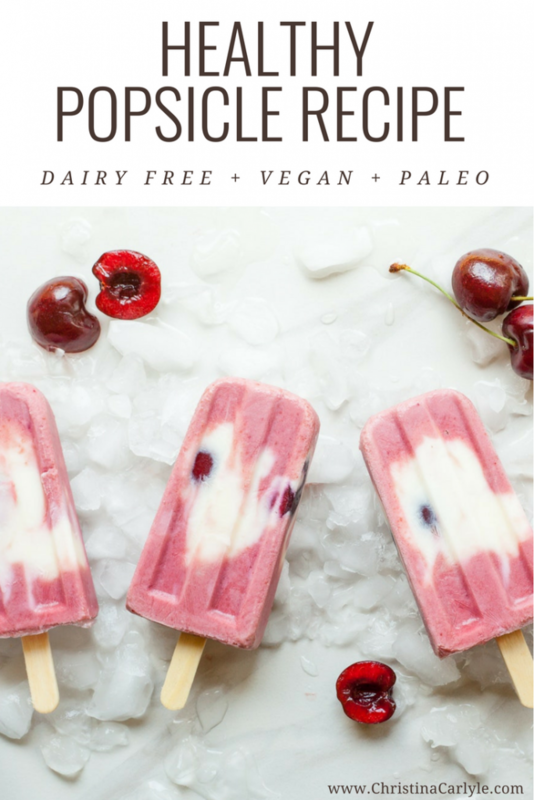 Then you’re going to love this Healthy Popsicle Recipe! It’s always nice to have a healthy, natural treats option available. 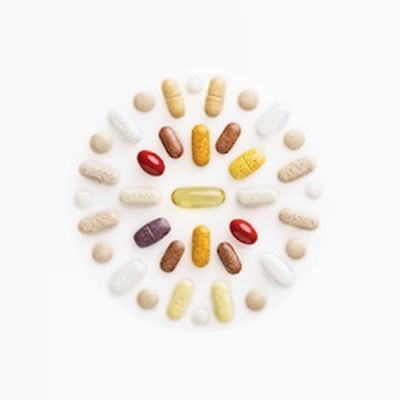 Processed ingredients and artificial sugars, colors, and flavors are toxic and terrible for you. These natural, healthy popsicles are much better for you than anything you can buy in a store. They help satisfy your sweet tooth and are super easy to make. You and your family can enjoy them guilt-free, stay healthy, and avoid gaining weight. 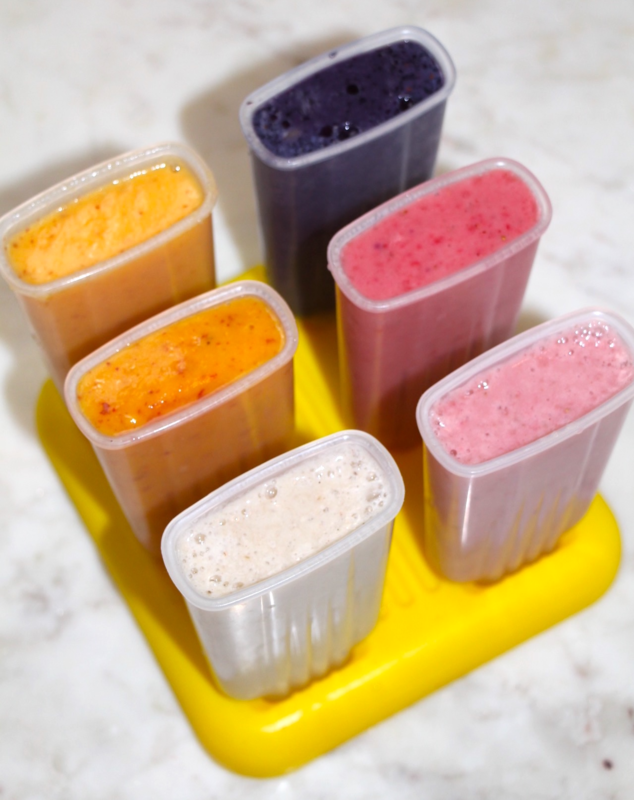 Popsicle molds are inexpensive. You can find them in department stores. If you don’t have molds you can also use this recipe to make popsicles using cups and popsicle sticks. 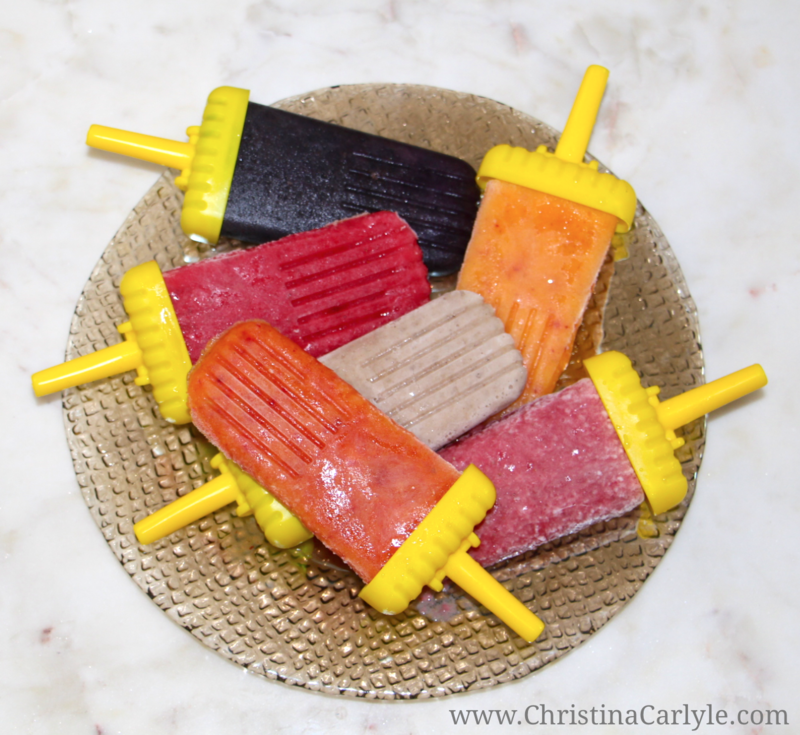 You can also skip the sticks and use this popsicle recipe to make Italian Ice-like treats, too. You can make popsicles out of any fruit really. I’d recommend anything soft, that freezes well. Strawberries, blueberries, peaches, bananas, and mango all work beautifully. Whatever fruit you choose, you’ll need to use at least 1 banana that will be split between all of the mold cavities. I find that bananas help with the consistency. Otherwise, the fruit can taste watery after it’s frozen. The banana and nut milk add creaminess, flavor, and smoother texture. You’ll need 1/2 cup of nut milk for every banana you use. I find that 1 banana with 1/2 cup milk will fill each mold about 1/3 to 1/2 of the way up. I use the other fruits to create different flavors and fill the rest of the mold. Once you blend the banana and nut milk you can transfer it to a measuring cup. Then blend portions of the mixture with other fruits. I usually blend a little bit of the banana milk mixture with one fruit at a time. In this case, I used 1/4 cup of the banana mixture with 1/2 cup of blueberries. To get different flavors I experiment with different amounts of fruits. The purple pop is blueberry (going clockwise), next is strawberry, strawberry-banana, 100% banana, peach, and peach-pear. Fill each mold cavity with the blended fruit. You may have to run hot water on the outside of your molds to release the popsicle from the mold. I always have to. The directions for making popsicles is the same. So you can create any flavor of fruit popsicle you like best. Feel free to experiment, mixing and matching new flavors combinations. You can also add one mixture to the bottom of the molds. Then add another color/flavor. Then top them off with the rest of the cavity with the first mixture to create gradients and different color combinations. It’s also fun to add chunks of fresh fruit to the mixture. I like chunks of peaches, banana, cherries, strawberries, and crushed blueberries the best. They freeze well and look pretty. Some veggies make yummy popsicles, too. I’ve only attempted pumpkin puree and butternut squash to add more fiber. Check out my delicious (and addictive) Pumpkin Popsicle recipe here. It’s so good! If you’re looking for another healthy dessert idea, try my Banana Nice Cream Recipe. It’s dairy-free, gluten-free, high in fiber, and tastes amazing, too. Hello! I’ve been reading your website for some time now and finally got the courage to go ahead and give you a shout out from Atascocita Texas! Just wanted to say keep up the fantastic work! I LOVE YOU ARLENE!! THANK YOU!! Love all your ideas…better body’s…healthy eating. Keep them coming please. Hi christina my name is liz…keep up d good work ……all ur recipes & excersies have truly helped me …. im thankful for what u do for all of us… continue doin what u do cuz we all truly apprecaite it…???????????????????????????? Awesome awesome post!! Thank you Christina! !